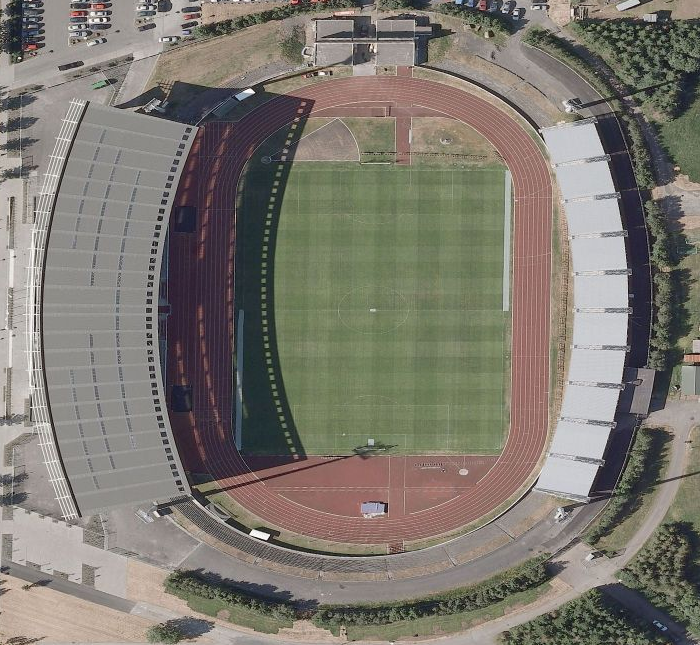 Iceland is the next European country on the list, and today’s track is found at the national stadium of Iceland, Laugardalsvöllur. The facility was built in 1958, and was last renovated in 1997. The bleachers here can hold 9,800 spectators. Used mostly for soccer, this looks like a decent track as well. Iceland is actually a place that I would love to visit some day (but I’m not sure if I could convince my wife).